IMTD (www.imtd.org) of Mr. 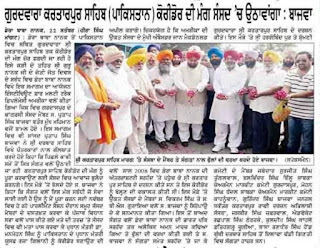 Ambassador John McDonald’s who represented USA in UNO for 16 years and which is engaged in the noble cause of international peace making has plans to drop rose petals on the international Kartarpur Peace Corridor on Guru Nanak’s joti jot divas i.e Sept.22, 2011. 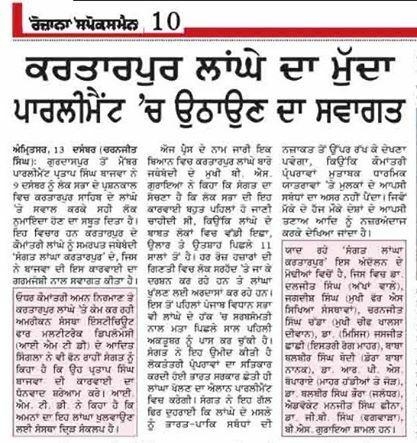 SSSS Group of Educational Institutions Amritsar and Sangat Langha Kartarpur (www.kartarpur.com) will be assisting IMTD in this noble cause. S.Partap S. Bajwa, MP Gurdaspur has kindly consented to grace the occasion as chief guest. 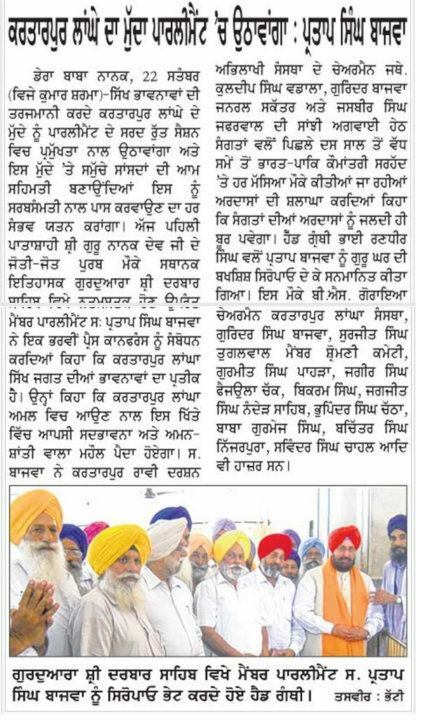 The Sangat will assemble at Sri Durbar Sahib gurdwara Dera Baba Nanak distt. 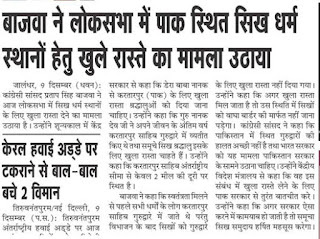 Gurdaspur at 11 AM and will welcome the Chief Guest. 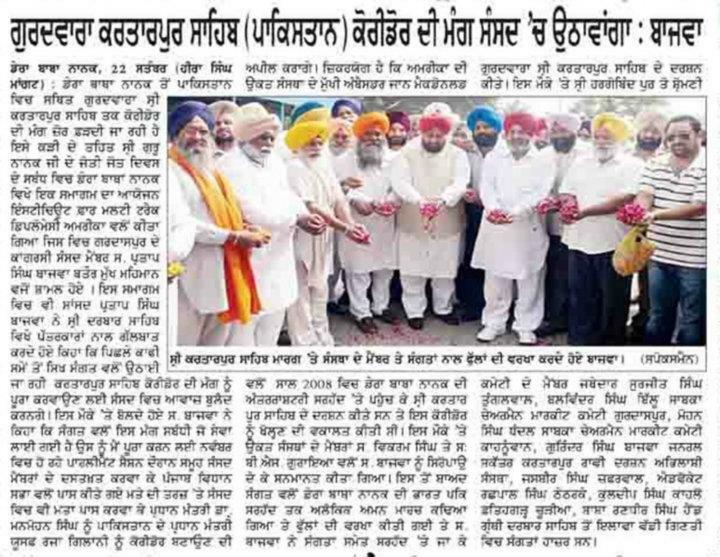 There after the Sangat will do peace march and drop rose petals on the proposed Corridor upto Indo-Pak border which is little less than 1 km from Dera Baba Nanak. 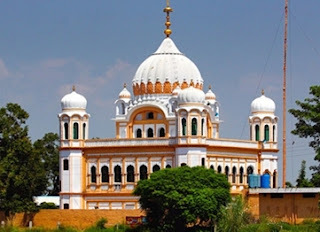 From Border u can view Kartarpur sahib the first shrine of Sikhs which is in Pakistan. You r requested to please participate in this noble cause. See the news items appeared in the dailies of the following day. 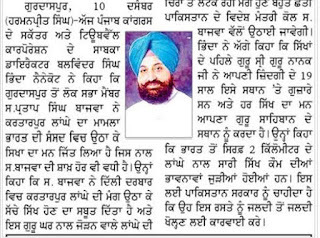 Then at the bottom are news regarding Bajwa's taking up issue in Parliament. 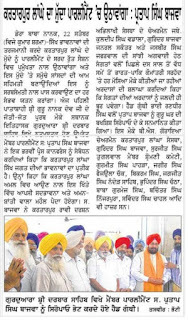 But when we saw minutes of the Lok Sabha we were pained to see that Bajwa merely made a mention of Kartarpur Corridor and never demanded free passage. 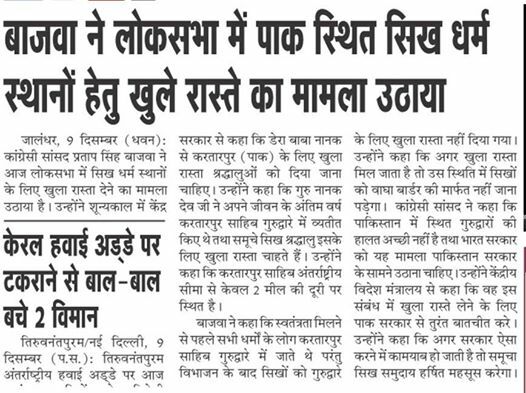 These are the kind of politicians we have. ਜਨਰਲ ਸੁੰਦਰਜੀ ਨੇ ਆਪ ਭਿੰਡਰਾਂਵਾਲੇ ਨੂੰ ਮਾਰਿਆ ਸੀ? 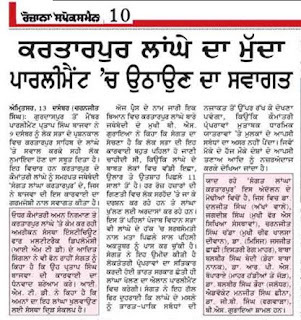 A BEAUTIFUL DOCUMENTARY ON KARTARPUR SAHIB CORRIDOR BY PAKISTAN GOVT.